WordPress health & beauty Themes loaded with all features required for Portfolio website. It has integrated payment methods to allow buyers to purchase Design online.Responsive feature allows web layout change from normal to mobile version automatically. WordPress booking platform that allows you to publish & offer design for rent. Our product has a modern design and is very flexible allowing you to customize it to your needs. All WordPress themes are comes with a lot of useful and features and unlimited variations. Responsive layout, Mega Menu, Page Builder, advanced List and Grid products view, convenient Product Quick view and product gallery image in lightbox, Bootstrap 3, FontAwesome, and many other features that will help to further enhance your site. 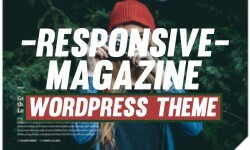 RT-Theme 20 is a responsive premium WordPress theme with powerful CMS tools. Besides being a good corporate, product catalog and e-commerce theme, it is also pre-styled considering the health industry in general such as medical equipments, veterinary, laboratory, clinics or hospitals. The built-in product showcase gives you wide opportunities to use the tool for various purposes other than creating an online catalog. Psychiatrist is a WordPress business theme. It is focused on building websites in the Psychiatry, psychology, therapist company niches. We included Visual Composer, Revolution slider, WooCommerce support and advanced admin panel. It can be used for any kind of therapist type business. With all those features and our excellent support, you just cannot go wrong. Building your perfect WordPress theme will be a a joy, why search further, start building now! Dentalcare WordPress Theme is a one-stop solution for dentistry, dental clinics, hospitals, and any kind of websites providing dentist services. Everything we do is designed with the attention to your satisfaction in mind. So you will find the theme all features and plugins you need to set up a professional dental or hospital website. Big Salon – WordPress Theme is a theme for salons, hairdressers, barber shops, beauty service providers, spas and beauty stores. Big Salon have all the features required by a beauty site like Services Management, Pricing, Events, Staff Pages, Multiple Blog Layouts, Dozens of Short-codes and multiple Gallery Layouts. Looking for something unique cutting edge for your saloon? HairLoom is a WordPress Theme with a clean, unique design. The theme is packed with great Custom Post Types and Theme Options to display any kind of Work on your website. It is a website for Barbers & Hairdressers with everything such a business needs. Prices, stylers, galleries, services, beautiful Slideshow and much more. Not just support WooCommerce, also comes with exclusive designs integration. This allows you to create a professional eCommerce website with different products style. MedLab is a Medical and Health WordPress Theme for medical and health related businesses or any corporate websites in this field. It also fits for medical centers, dentists, doctors, general practice, health care or a hospital. The theme can be easily changed by any subject, for it is only necessary to change the image. Creative and highly customizable theme that suits your Beauty Salon, Fitness Club or Barber Shop business needs. Theme features responsive layout, page builder with tons of ready-to-use shortcodes, advanced slider, custom widgets, custom post types. Beast and Beauty is built with SASS which gives you even more freedom to customize. Look at the features below. Physio is a WordPress theme build for Physical Therapy Clinics, Rehabilitation Clinics, Physical Therapists, Chiropractor, Massage Therapists, Sport Injury Clinics and others that offer Medical related services. Physio will help you get your site up and running in less than minutes with the one click demo importer. Build your website easily with the Drag and Drop Page Builder and use the Theme Customizer to change the visual style of the theme and preview the changes immediately. Medicare is a fully dynamic, well structured and beautiful Responsive WordPress Theme which is specifically designed for hospitals, health clinics, dentists and everyone else involved in health services. The Medicare Theme is responsive and highly customizable. Not only is it a highly suitable theme for doctors, dentists, stomatology, medical practices, hospitals, surgeons, health clinics, paediatrics, psychiatrist, veterinary clinics and other medical organizations related practices but it is also suitable for any kind of website – conference, environmental, charity, nonprofit, gym, political, activist, business, spa and shop. Looking for something cutting edge for your saloon, have a website that portrays and compliments your business, then please check out Cutting Edge – Responsive One Page Parallax Template. Designed to suit hairdressers, beauty saloons, massage parlours & day spas this site is very flexible and is easy to use with loads of great features. It has been designed to make it easy to customize.